Since being re-elected by the people of Aberavon on the 5th May, David Rees AM has continued to push the Steel agenda on behalf his constituents. 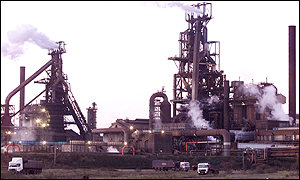 Since the 5th May, he has met with the Trade Unions at the steel works in Port Talbot and have arranged meetings with Works Management at Port Talbot and Mr Bimlendra Jha, Chief Executive Officer (Tata Steel UK), to discuss the future of steel making both within the UK and in particular at Port Talbot. He has also written to the First Minister, Carwyn Jones, calling for a statement to be made by the Welsh Government on the actions that have been taken since the dissolution of the 4th Assembly, a time in which there has been great activity as we see the process of selling Tata Steel UK move forward. Today David also took the opportunity to raise questions with the First Minister as he faced his first First Ministers Questions of the 5th Assembly and tomorrow David will be joining steel workers in London as they continue to raise their concerns on the steel industry through a rally outside parliament. David has taken the opportunity to seek a meeting with members of the All Party Parliamentary Group on Steel to discuss how both institutions can work together to secure a sustainable and viable Steel Industry within Wales and the UK.